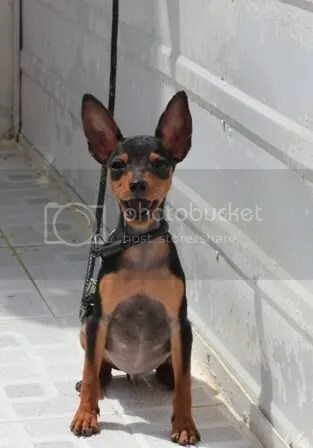 I guess a miniature pinscher pet is not suitable for a busy family with toddlers. They are really sweet but needs constant attention from the owner. Well, if you can handle the minpin’s active lifestyle then I guess it’s okay for you to have one. In our case, we cannot add a pet dog to our family that needs much attention. We all work online and the only break that we have is to do the household chores and play with the kids. We sold Batas after a month if I remember it right. We missed him very much. The kids called him “baby brother dog”. He is our baby since he was only three months old when we bought him. I wonder when he is now. I hope his new owner is taking care of him like we do. His toys and other stuffs are still here.